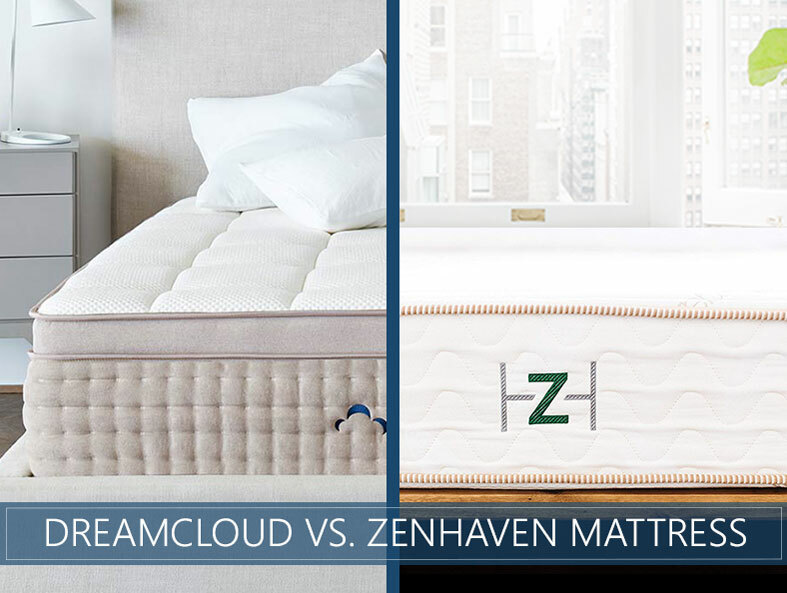 DreamCloud vs. Zenhaven Mattress Comparison - Is There a Winner? Hybrid or all-foam dual-sided choice: Which construction should suit you best? DreamCloud boasts 100 years of combined sleep industry experience and uses that knowledge to guarantee their products for life. Zenhaven is a Saatva brand that works to give back to their community through the more ecologically responsible manufacturing of their natural products. This battle between DreamCloud and Zenhaven will break down a hybrid versus an all-foam construction and give suggestions for which sleepers these two brands fit best. This is a hybrid latex, foam, and coil product that is shipped compressed inside a box. The Plush cover is made of cashmere to provide a luxurious feel to this 15-inch bed. The top layer is a .5-inch Gel-Infused Memory Foam. You should sink “into” this contouring foam but remain cool all night long thanks to the gel which counteracts to your body heat. The second layer holds a 1.75-inch Super Soft Quilted Memory Foam. This should provide a deep, Plush comfort level that promotes enhanced pressure relief. The third layer contains a .5-inch Supreme Natural Latex Response Layer. This should provide a deeper bounce that aids in repositioning so you won’t feel “stuck” in the upper comfort foams. The fourth layer consists of of .25 inches of “Dream Plush” Supporting Memory Foam. This is meant to further contour to the body and should promote pressure relief and enhanced support to suit heavier or lighter parts of the body. The fifth layer holds .5 inches of Super Dense Super Soft Memory Foam. This should act as a buffer between the support coils below and the upper comfort materials. The sixth layer boasts an 8-inch Patent-Pending “Best Rest” Coil system. This is an individually pocketed coil system wrapped in foam to deaden movement. The coils feature 5 zones and should compress under heavier body parts and provide solid support for lighter areas for personalized pressure relief. 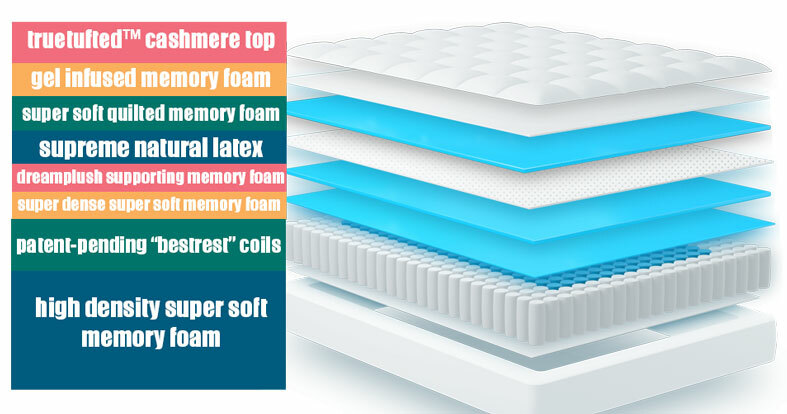 The final layer is a High Density Super Soft Memory Foam that comes in at 1.5 inches thick. This is meant to provide stability to the mattress and further minimize motion disturbance. This latex bed is shipped ready-to-use. Zenhaven does not compress or roll-pack their products before shipping. The cotton cover has a 1-inch temperature regulating wool fire barrier quilted into it. The total height of this mattress is 10 inches. This mattress is double-sided and comes in two different comfort levels. We will approach the construction as though the Gentle Firm side were facing up. The top layer is a 1.5-inch Natural Latex Gentle Firm Comfort Layer. This is a comfort system featuring 5 zones that offer support for lighter areas of the body and pressure relief for heavier areas such as the hips or shoulders. This should distribute weight evenly and reduce poor spinal alignment. The second layer contains a 3-inch Natural Latex Firm Base Layer. This is a Talalay latex that should provide a lot of bounce, fostering easy repositioning. The third layer is made up of 3 inches of Natural Latex Plush Base Layer. When the mattress is flipped, this becomes the second layer and should provide a Luxury Plush feel. The base layer is comprised of 1.5 inches of Natural Latex Luxury Plush Comfort Layer. This should offer soft pressure relief and gentle support when flipping the bed to use this as the top layer. Using our scale of 1-10, in which 1 is super Soft and 10 should feel incredibly Firm, we rate DreamCloud as a Medium 6. Zenhaven’s Luxury Plush comes in at 4.5, while the company’s Gentle Firm has earned a 7 on this scale. Sleepers looking for a Medium feel should prefer the hybrid, a great option for people of all position preferences. The multiple comfort options available in the latex mattress could suit shoppers looking for a Soft feel, which may appeal to side sleepers, or a Medium-Firm experience, likely to be preferred by stomach sleepers. DreamCloud’s hybrid should feel soft and luxurious as you first lie down on the cashmere cover. This plush feel then combines with the firmly supportive coils for an overall Medium-Firm feel. This mattress also features zoned comfort to provide pushback or compression where your body needs it most. Zenhaven’s cover should feel soft and comfortable as you nestle into this product’s zoned comfort that should provide support or pressure relief as-needed. Both beds should provide a quick response, allowing the materials to reshape quickly for easy repositioning. Both brands should work well for shoppers with significant weight concerns. The hybrid’s coils should provide sturdy support and the Gentle Firm should offer enhanced support and durability over the Luxury Plush. The DreamCloud should provide a gentle cradle with contoured pressure relief. You should notice moderate bounce and the materials should reshape quickly. Zenhaven’s Plush side should allow for a deep hug, while the Firm option should keep you floating on top of the mattress. This allows the sleeper to choose their favorite level of sinkage by simply flipping the bed. There should be moderate bounce and a quick response from the materials. Either of these beds should suit combination sleepers very well as they should allow for easy repositioning. The dense memory foam in the DreamCloud should combine with the individually pocketed coils to dampen vibration. The Zenhaven should also minimize disruption due to movement as the latex should absorb energy. This should make either item a great match for co-sleepers with restless partners. Most people do not consider edge support a top priority. For co-sleepers or sprawlers who like to utilize every bit of their sleep surface, a sturdy edge can be a major concern. 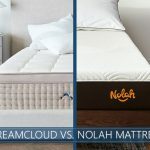 Both brands should perform very well in this area, remaining consistent when sleeping along the edge, though shopper looking for enhanced stability may want to opt for the DreamCloud’s coil support system as the coils around the outer edge are reinforced. 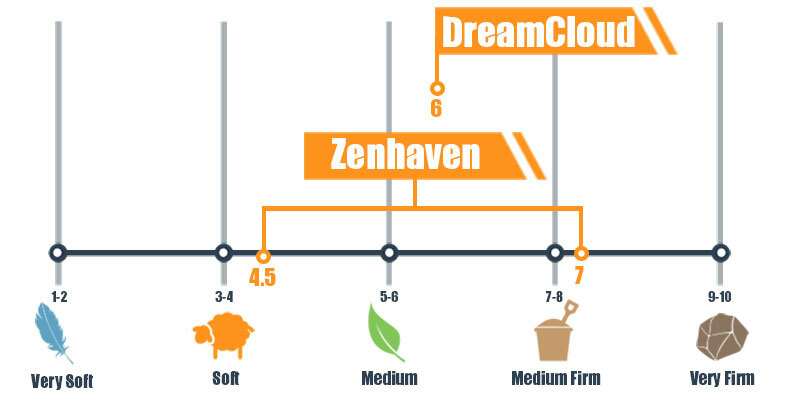 Should I Buy DreamCloud or Zenhaven? So, how does all of this information pertain to you? Read our suggestions below to see which mattress should work best depending on a few top mattress-buying concerns. A hybrid experience. Latex, memory foam, and coils bring together the best worlds of an all-foam and innerspring mattress so you don’t have to choose. A luxury feel at an affordable price. The Plush comfort foams and cashmere cover should feel luxurious and inviting, but the price point shouldn’t put a strain on your wallet. A Medium feel. This bed should offer a Medium comfort level with a deep hug, body-conforming support, and a quick response time. A latex experience. The all latex construction of this mattress should provide bounce and pressure relief. Temperature regulation. 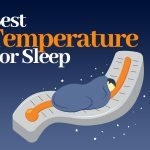 Both options feature cooling materials, but the wool cover of this mattress should also promote temperature control in hotter and colder weather. This should keep the sleeper from feeling too hot or too cold. Two beds in one. Shoppers can flip this mattress to experience either a Soft, deep hug or a Medium-Firm gentle cradle. Both mattresses should make a great choice for sleepers of all position preferences. Those looking for a gentle cradle and a Medium feel should opt for the DreamCloud. Fans of a Soft feel or anyone looking for a little variety will likely prefer Zenhaven. Be sure to check out our in-depth reviews for a comprehensive analysis of each bed.